Monday 12 February, Monday 12 March and Monday 9 April between 7.30 and 9.30pm in the lounge bar of the Six Bells, High Street, Fulbourn (with the kind permission of the landlord, Hugo White). The event will continue through the year on the second Monday of each month. This event, started in December 2016, is now well established, so come again to mix with other local ‘creatives’ and have some fun with your sketchbooks in a relaxed, friendly and supportive environment, while enjoying a drink. Sketch whatever you want, our occasional sitters, your pub surroundings, other sketchers, or bring a small ‘something’ to draw. Do bring sketch books (or paper and pad) and drawing implements if you have them, but there will be some ‘community’ sketch books and pencils to borrow if necessary. All levels of ability are warmly welcomed, including completebeginners. 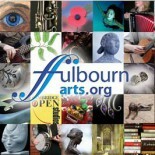 Fulbourn Arts committee member and local artist Allison Henderson will be there to help, advise and encourage. She may be contacted for further details on 07743 709476. This entry was posted on January 16, by allisonhenderson in Calendar.